El anexo de Barrow Cottage es una extensión de una sola planta de la casa, con el uso de un gran jardín y paddock. Está situado en una de las partes más encantadoras de la Isla de Wight, rodeado de campos verdes y cerca del pintoresco pueblo de Godshill, en una zona de excepcional belleza natural. Este es un gran país a pie, rodeado de senderos, pero todavía está a sólo diez minutos en coche de las playas de Shanklin y Ventnor. Es ideal para familias y para parejas que quieren relajarse. Últimas noticias *** tenemos Barn Owls anidando en nuestro jardín! Notas sobre el alojamiento: La propiedad ha sido objeto recientemente de una renovación total. El segundo dormitorio se pueden arreglar, ya sea como dos camas individuales o literas como sea necesario. Los propietarios viven en el lugar. Afuera: En el exterior hay dos acres de terreno, incluyendo un paddock. Los propietarios viven en el lugar y son aficionados a la jardinería. El enorme campo en la parte trasera de la propiedad es por lo general el hogar de una manada de vacas. Un sendero pasa junto a la propiedad dando un excelente acceso a pie a la campiña de los alrededores. Para los ciclistas podemos proporcionar almacenamiento durante la noche seguro para bicicletas Servicio de limpieza / toallas / ropa / limpieza: Las toallas y ropa de cama se proporcionan pesar de respetar el medio ambiente que sólo se cambian cada semana. We had a really lovely three night stay. Perfect having everything on one floor with two little ones. Our three year old adored the huge garden with many games of hide and seek, as well as the use of garden games. Really easy to get everywhere from the cottage, and so many things to do just on our doorstep, which made it nice and easy to return to the cottage with tired children for a break, before heading out somewhere different after lunch. Our bed was also wonderfully comfortable, which can be a rarity in some holiday cottages!! We are already planning a longer holiday here next year. Very nice place to stay and enjoy the restful garden. The hosts are charming and very helpful. Well equipped with very comfortable beds. If you need to have a 2 socket for charging remember to bring an adaptor. A very enjoyable and memorable stay. Stayed her for 3 nights. Chris and Nicky were very communicative and helpful. There was plenty of room for my wife and I, plus our two daughters. Accommodation was clean, secure, and in very good condition. Gardens were lovely - sadly didn't see any owls, but girls really enjoyed feeding the sheep. Great location. Godshill is very quaint and just up the road. Shanklin is a 5 minute drive and has a lovely beach, great restaurants and Shanklin chine. Lovely cottage surrounded by stunning countryside. 'The Annex' was perfect for us. Chris & Nicky were lovely hosts and made us feel very welcome. Their cottage is lovely and the Annex was equally charming quiet and peaceful. We were surrounded on all sides by rolling countryside. Sheep, chickens, cows, foxes, barn owls at every turn. The use of the beautiful garden added that extra something to our stay giving us the option to play games or just chill out with a drink on the grass with the bbq. The folding wall in the lounge opening onto the huge garden was a nice touch and a god send on the hot summer days and evenings. Nicky treated us to fresh laid eggs from the chickens and our 10 year old loved making toast for the two resident sheep every morning. We've felt truly spoilt. We watched the barn owls in the garden every night and our last night saw a fantastically clear view of the milky way. The Annex was great to relax in and a great base to explore the Island too. I originally planned on renting a cheap park chalet style home for a week but im so glad I chose this property instead. The quiet, the peace, the wildlife, the countryside and friendliness of Chris and Nicky all made for an extra special week. We will definately be visiting The Annex again very soon. Great stay! The house has everything a family needs for a good stay on the island. Nicky and Chris are so thoughtful and make sure you have all essentials. Our children loved to play in the wonderful garden. A toy broke - and Nicky and Chris provided a new one immediately! 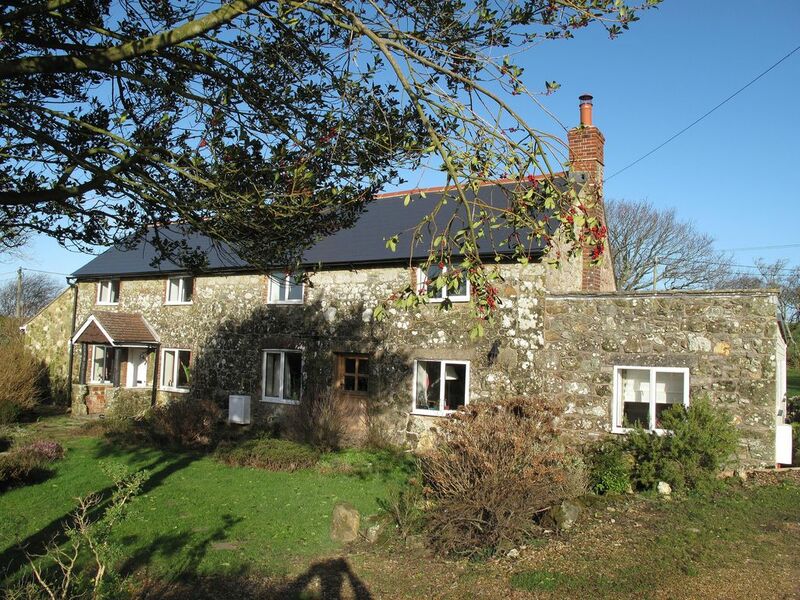 Godshill is a great base for the IOW, and we would definitely recommend this property to anyone looking in this area. Thank you for your hospitality - we would definitely stay again! Lovely to have you to stay - do come back soon! We loved our stay in the cottage, Chris and Nicky are most welcoming, giving us home produced green beans and eggs,and the loan of two bodyboards to take to the beach. We also loved watching the owls of an evening in the garden feeding their young ones. Our daughter loved the garden swing and hammock, especially in the glorious sunshine! and feeding the sheep. Las playas de arena en Shanklin y Ventnor están a sólo 10 minutos en coche. Hay una tienda local que vende alimentos esenciales a sólo 2 minutos a pie. El alojamiento se encuentra en una ruta principal de autobuses, a una milla de la aldea de Godshill con sus pubs, restaurantes y salones de té.